Suppose your son or daughter wanted to marry someone whose family you didn’t like? Maybe you’re political opposites . . . or you just don’t like the way they live . . . or both? And now they’re coming to dinner, to meet you! That’s the dilemma at the heart of La Cage aux Folles, the 13th annual Fall Musical at Hilo’s Historic Palace Theater. The French title is slang for “the madhouse” — an appropriate description for this madcap farce. Based on a French play, the “book” was adapted by Harvey Fierstein, who won a Tony Award for it; and the music and lyrics are by Jerry Herman, who previously wrote the musicals Mame and Hello Dolly. Georges (Saul Rollason) owns the night club next door, where the star attraction is his longtime partner Albin (Douglas Wayman), who’s famous as “ZaZa,” a female-impersonator in drag. Georges’s son Jean-Michel (Kevin Landucci) lives with them, and sheer madness ensues when he announces he has invited his fiancée Anne (Dana Bebmanoff) and her ultra-conservative, anti-gay parents (Michael Stevens and Erin Smith) to meet them. Georges (Saul Rollason) reacts in mock-horror when his partner Albin (Douglas Wayman) says he wants to meet the uptight, homophobic parents of the girl Georges’s son wants to marry. Photo by Daniel Nathaniel. What should they do? Maybe Albin could pretend to be an “uncle,” and act macho, with coaching by their neighbors Monsieur and Madame Renaud (Randall McEndree and Stephanie Becher)? Or maybe he should get up in drag and pretend to be Jean-Michel’s “mother”? It doesn’t help that their “maid” Jacob (Alston Albarado) is given to hilarious antics of his own. Nor that, right next door, the show must go on, with the “Cagelles and Cagettes” (Billy Shakley, Norman Arancon, Tanya Aynessazian, Cole Stremski-Borero, Carmen Richardson and Amber Lopez) dancing up a storm. When Jacob burns the dinner, everyone retires to a restaurant run by Jacqueline (Justine A. Thompson), but they won’t be able to relax there, either. You’ll have to come to the show to find out what happens next! During a rehearsal, Director Doug Scheer (far right) and Choreographer Michael Misita (next to him) strike a pose with four of the “Cagelles and Cagettes” dancers, Cole Stremski-Borero, Tanya Aynessazian, Billy Shakley and (below) Norman Arancon. Photo by Daniel Nathaniel. Also in the cast are Phill Russell, Gene Gold, Jherrie Rubeyiat, Bria Callaway, Katherine Wilson, Stephanie Hull, Mary Chapman and Jessica Dempsey. Michael Misita is the Choreographer. Catherine McPherson is Stage Manager. And Music Director Cheryl “Quack” Moore will lead the Palace/Cage aux Folles band. ZaZa (Douglas Wayman) is the star attraction at La Cage aux Folles, in a dance number with the Cagelles. Photo by Daniel Nathaniel. For the show’s Director, Doug Scheer, “La Cage aux Folles is really about the relationship between Georges and Albin — their marriage, their partnership, whatever you want to call it, which is not really different from any other relationship between two people who love each other, and who stay together as a family through thick and thin. Bigotry does come into it. That homophobic politician ultimately gets a better understanding of gay people – that we’re just like everybody else. The Cagelles are the dancers at the nightclub called La Cage aux Folles (“the madhouse”). Photo by Daniel Nathaniel. La Cage aux Folles will be performed at 7 p.m. Friday and Saturday evenings October 3, 4, 10, 11, 17 and 18; with matinees at 2:30 p.m. Sundays October 12 and 19. Tickets are $15 in advance; $20 on the day of the show. The box office is open weekdays from 10 a.m. to 3 p.m.; advance tickets can also be purchased with credit cards, over the phone, at 934-7010. Every few years, one of the greatest legacies of the Victorian Era is celebrated on the Big Island. If you enjoy musical comedies, you can thank the “operettas” that premiered in London in the 1880s and ‘90s. Their tone was light and comic; much of the dialog was spoken; the songs introduced the characters and advanced the plot – in other words, the model for all the musical comedies that have followed. The greatest (and still the funniest) of the Victorian operettas were invented by two rather unlikely collaborators. Sir Arthur Sullivan was a celebrated classical composer. His theater pieces are snappy and beautiful and immensely memorable, but he thought he was wasting his talents on such light fare. Sir William S. Gilbert was England’s leading humorist, able to fill his lyrics with more rhymes in English than anyone before, and few since. But he had no ear for music. Yet the entertainments that Gilbert and Sullivan created together have been performed continuously, all over the world. You can be sure that there is a G&S production on stage, somewhere, right now. In fact, you can see one here on the Big Island this coming weekend and next. G&S operettas are a regular feature of the Kilauea Drama and Entertainment Network (KDEN), presented at the Kilauea Theater, in Volcano. Producer/Director Suzi Bond has been doing two musical shows a year, there, for ten years, and this is the fifth in her G&S series. On stage this year is Ruddigore, or The Witch’s Curse. Though not as well-known as The Mikado and HMS Pinafore, this one has plenty of what G&S operettas are famous for: lovesick maidens, hidden identities, an elderly spinster, a hero who’s not as bold as he might like to be, and a “topsy-turvy” conflict between love and duty. (Full disclosure: I’ve gotten the lowdown on Gilbert and Sullivan from one of my clients, who’s in the show.) The plot of Ruddigore is laugh-out-loud funny, a quirky parody of old-time lurid melodramas, complete with a mustache-twirling villain, and ghosts who come to life from their painted portraits! Dame Hannah (l.) astonishes the corps of professional bridesmaids with the legend of the witch’s curse on all the Baronets of Ruddigore. The ghosts of his ancestors hound the newest Baronet of Ruddigore to suffer the curse: he must commit one heinous crime a day or die in agony. There are six upcoming performances: 7:30 p.m. Fridays and Saturdays July 18, 19, 25 and 26; and 2:30 matinees on Sundays July 20 and 27. Tickets are available in Hilo at The Most Irresistible Shop, in Volcano at Kilauea General Store, and in Kea’au at Kea’au Natural Foods. The price is $15 general; $12 for students, $10 for children. Call KDEN at 982-7344 or email kden73@aol.com for more info about this delightful musical — oops, I mean operetta. You might not think of Hilo as a venue for Shakespeare. But every July, the Hilo Community Players presents one of the Bard’s plays – free of charge – right downtown in Kalakaua Park. And this year they’re doing not one but two. Well . . . almost. They’ll perform Antony and Cleopatra –Shakespeare’s historical drama of love and war in the Roman Empire. But they’ll also present a modern comedy, with a lot of youngsters in the cast, called This Is Hamlet. The Hilo Community Players is the second-oldest theatrical organization in the Islands, having been formed in 1938; and it’s the only troupe in Hawaii that does Shakespeare every year. They’ve been doing it since 1978. A chessboard for giants? No, it’s the stage set for the Hilo Community Players’ production of Shakespeare’s Antony and Cleopatra, and for the comedy This is Hamlet, in downtown Hilo’s Kalakaua Park. The park used to be the front lawn of King Kalakaua’s vacation-house; Kalakaua Street is the park’s southern border; and a statue of the king by local sculptor Hank Bianchini is in the center. Everyone knows he was an enthusiast for hula: Hilo’s huge “Merrie Monarch” festival and competition is named for him. But he loved stage plays, Shakespeare especially, and the Players have long felt that performances in “his” park similarly honor his legacy. This year’s audiences will see an innovative Antony and Cleopatra. The script is all Shakespeare, of course, though carefully edited to run just about two hours, with one intermission. But the director, Jake McPherson, has chosen to take what he calls a “minimalist” approach to the play. It will be performed by only six actors, four of whom play multiple roles; even the actors playing Antony and Cleopatra will take on one extra role apiece. McPherson will also clothe his actors not in history-evoking togas and silks, but in monochromatic costumes with only an accessory or two to establish which character they’re portraying. McPherson is one of Hilo’s most experienced directors, and has taken a similar approach in other plays, because, he feels, it focuses the audience’s attention on the most important aspect of the theater-going experience: hearing the spoken word. This is Hamlet is something completely different. It’s a lighthearted guided-tour through Bard’s most famous play, led by a couple of old biddies and a gaggle of kids, poking fun at the most serious parts, yet never losing touch with what makes Shakespeare great. 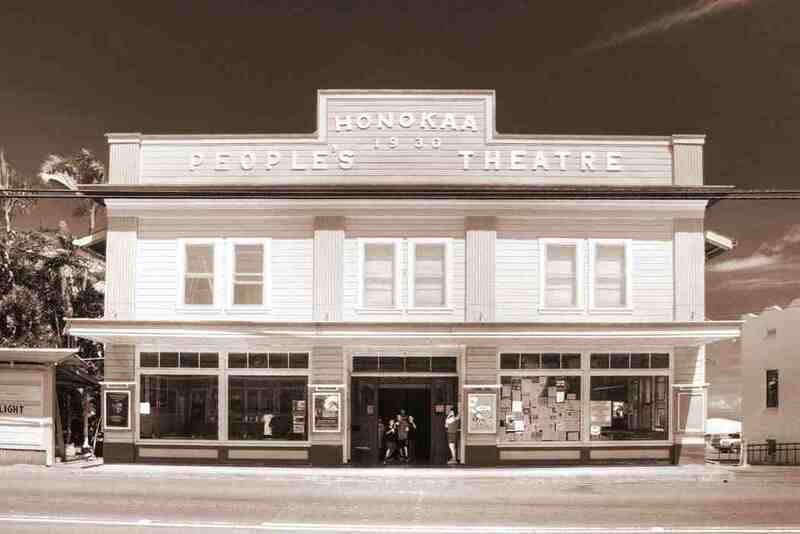 Families have always come to the Players’ productions; indeed many of the actors who are now in their twenties and thirties first came with their parents, or joined the Players after having been in Hilo High School’s famous Performing Arts Learning Center – a for-credit afterschool activity. But This is Hamlet is the start of what director Jackie Pualani Johnson sees as a new tradition for the Players, which she calls “Kid Shakes.” Johnson is the chair of UH-Hilo’s Performing Arts Dept., and is the city’s best known actor (she had the title role in the Players’ production of The Trial of Lili’uokalani last summer.) Her concept is that plays with young people in the cast will give not only children but grown-ups too an easy entry-point into the local theater community, and into the wider world of Shakespearean theater as well. Antony and Cleopatra will be performed on at 7:30 p.m. on Thursdays, Fridays and Saturdays, from July 10-26; and at 2 p.m. on Sunday July 13 and 20. This is Hamlet will be performed at 11 a.m. on Saturdays July 12, 19 and 26, and Sundays July 13 and 20. Admission is free; seating is on bleachers or on the grass (bring your own lawn chair); and “the show must go on” – meaning performances will begin on schedule, rain or shine! To learn more about the Hilo Community Players, access Cast Lists, audition, become a volunteer or see upcoming productions, click here. It’s 1895. Hawaiian nationalists have tried – but failed – to restore the Queen and her government by force of arms. Convicted of treason against the new Republic, they’ve been sentenced to death. And now Lili‘uokalani — the deposed Queen — faces an American military court, accused of knowing her people were going to rise up, and not stopping them. The Trial of Lili‘uokalani was written here in Hilo in 1973 by Maurice Zimring, a Hollywood screenwriter who’d retired to Keaukaha – a largely Hawaiian community — and was active in the Big Island Press Club. Drawing on remembrances, books, archives and transcripts, Zimring combined historical figures and dramatic characters to create this drama of patriotism and passion. 2013 is a significant year for this play. It is the 120th anniversary of the Queen’s overthrow, the 50th anniversary of the creation of the play, and the 75th anniversary of the Hilo Community Players (HCP), the second-oldest theatrical organization in the Islands. HCP’s mission is “to educate, enrich and entertain” through theater. So the program for the show is also a study-guide that leads the playgoer to explore what Hawaii was like in the 1890s, and to understand the people who lived what the playwright and the players bring to the stage. The Trial of Lili‘uokalani will be performed upstairs at the East Hawaii Cultural Center (EHCC), 141 Kalakaua St. in downtown Hilo. Friday and Saturday evening shows start at 7 p.m. on September 6, 7, 13, 14, 20 and 21. Sunday matinees begin at 2 p.m. on September 8, 15 and 22. Individual tickets are $15 at the door; $10 in advance and for students with ID; $5 for keiki 12 and under. Group discounts are available (by advance-sale only) at $9 each in blocks of ten or more; and at $8 each in blocks of twenty or more. For tickets, please phone the box office at EHCC: 808-961-5711. For more information about the production, or more background on the play, please contact my friend Hal Glatzer, who is Secretary of the Hilo Community Players. Email hal@halglatzer.com or phone 808-895-4816. In 1969, Henry Bianchini and his family were sailing their trimaran from San Diego to a new life Hawaii. From far out at sea, they saw Kilauea erupt at Mauna Ulu. It wasn’t obvious, at that moment, but the Bianchinis would stay and make their home here, and Henry – Hank to his friends – would become one of the Big Island’s most respected and successful artists. He works in many media. As a painter, he does oil portraits and abstracts on canvas. As a sculptor, he works in ceramics, wood, stone and cast concrete, not only carving individual pieces but joining them in assemblages and collages. And as a metal-worker in bronze and steel, he employs heavy machinery and wields a welding torch to make both sculptures for display and artistic but utilitarian pieces such as driveway gates. His studio is almost as big as his house, and behind them both is a half-acre backyard sculpture garden that is also his largest gallery. Some of his works are whimsical and abstract, like “Enlightening the Spirit,” installed at Ha’aheo Elementary School, near Hilo; or “Rain Woman,” which is in a private collection. Others, like his statue of Hawaii’s King Kalakaua, installed in downtown Hilo’s eponymous Kalakaua Park, are life-size and naturalistic. “Rain Woman” stands in a private collection, overlooking Hilo. Still others mix the figurative with the imaginative, as he showed last month when he unveiled his latest grand-scale work. It was commissioned by a longtime patron in Los Angeles who wanted a sculpture, in his late wife’s memory, to be installed at his synagogue. Called “A Plea for Peace,” it incorporates symbolic Hebrew letters into the figures whose arms are raised to plea. “A Plea for Peace” has been installed in a Los Angeles synogogue. Making it, took Bianchini back to 1941, when he was six, on St. Thomas, in the Virgin Islands. His father was an Italian-American from New Jersey, serving in the U.S. Navy, and married to a Moroccan Jew from what was then called Palestine. When Nazi submarines started prowling the Caribbean, his and other service families were evacuated; so he has long had empathy for families who were lost elsewhere, in the war, and how important it is, still, to remember. There’s more about Henry Bianchini, and photos of his works, at www.henrybianchiniart.com. Most people know that South Pacific and From Here to Eternity were filmed on Kauai and Oahu, respectively. But while the Big Island isn’t widely famous as a backdrop for movies, quite a few have been shot – or have had scenes shot – here. The first were silent pictures, like The Hidden Pearls (1918) and The White Flower (1923), with backdrops of Kilauea Volcano. When talkies came in, Four Frightened People (1934) was shot in Hilo; Hawaiian Buckaroo (1938) on the Parker Ranch in Waimea; and Song of the Islands (1942) in Puna – though, sadly, its Kapoho and Kalapana locations have since been covered by lava. Those films are obscure today, and hard to find, even on Turner Classic Movies. Later films with Big Island scenes are better-known. Kona Coast (1968) a melodrama starring Richard Boone, was shot almost entirely (you guessed it) in and around Kailua-Kona. Black Widow (1985), a mystery-thriller, followed stars Debra Winger and Theresa Russell to Kona, to Volcano, and to the office blocks of downtown Hilo. More often, though, the Big Island stands in for imaginary or faraway places. Waterworld (1994), a science-fiction epic set in a future where the oceans had risen and swamped the continents, was shot looking seaward from the harbor at Kawaihae. The longest car-chase in Indiana Jones and the Kingdom of the Crystal Skull (2008), ostensibly taking place in South America, was actually filmed in Puna, along a private road near Kea’au. And a gender-bent version of The Tempest (2010), starring Helen Mirren, used bleak West Hawaii lava fields and lush East Hawaii parks for the surreal landscapes of Shakespeare’s magical isle. Only a small part of The Descendants (2011) was shot on the Big Island: a drive along the Queen Ka’ahumanu Highway, and a visit to the Hawaii Preparatory Academy in Waimea. (The rest was filmed on Oahu and Kauai.) But the movie is widely acknowledged, here in the Islands, to be the most realistic depiction of everyday life in Hawaii — at least, among prosperous kama’aina haoles — that Hollywood has ever produced. Japanese tourism is big business here, so it should not be surprising that Japanese studios make movies here, too. The historical drama Picture Bride (1993) was set in 1918, and filmed on the Hamakua Coast; and Honoka’a Boy (2008), filmed in and around (yes) Honoka’a, went on to win four Japanese cinema awards. 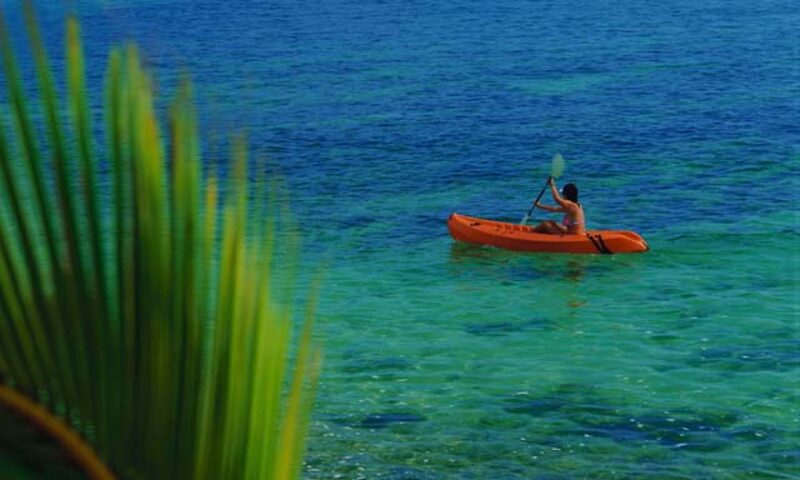 Some television programs have been made here too, including a segment of the 2001 season of The Amazing Race that brought globetrotting contestants to Kona, and a week’s worth of the game show Wheel of Fortune in 2008, taped at a South Kohala resort. The only TV series ever entirely shot and set here on the Big Island was Roseanne’s Nuts (2011), a “reality” show about comedienne Roseanne Barr on her macadamia farm near Honoka’a. Are you interested in making cinema or video here? Contact John L. Mason, commissioner of the Big Island Film Office, headquartered in Kailua-Kona. Besides keeping a list of locally-shot films, his office has a photo archive of prospective locations, maintains a database of local resources for equipment, crew and support services, and helps producers expedite the permit process. A new roof is going on the Palace Theater, but most folks won’t notice because the shape will stay the same. Hilo’s last surviving “picture palace” retains much of its original 1925 appearance, from the neon sign over Haili St. to the Art Deco tiles and paint jobs in the lobby and the auditorium. The Palace is something of an “art house” most of what’s screened are independent productions and foreign-language films, and prices fall between the mall’s and Kress’s. Surfing movies draw big crowds to The Palace, and so do outdoor and conservation pics. A special treat at The Palace, once or twice a year, is the opportunity to see a silent movie from the ‘20s, accompanied – as it was then – by an enormous pipe organ, for The Palace is home to the only surviving theater organ in Hawaii. But films aren’t all you can see at The Palace. A 45-minute stage show called “Hawaiiana Live” is performed every Wednesday at 11 a.m., free of charge; it’s popular with visitors, and many local folks take visiting family, to get a taste of Hawaiian mele (song) and hula (dance). Annual festivals and unique performances are also in The Palace’s calendar. In any given month there might be a classical music series showcasing young performers, a celebration of Taiko drums, a recital by the Puna Men’s Chorus . . . even an organ concert. As I was saying, The Palace still has much of its original charm . . . but it also some of its aging infrastructure. Earthquake-bracing, modern sprinklers, and other code- and safety work has been done, so now it’s the roof’s turn. The materials will be new, but the new roof will keep the same familiar shape. It’s all thanks to historic-preservation grants, and to donations made to the “Crown” Project by local theater-goers, through the not-for-profit Friends of the Palace Theater [www.hilopalace.com].